World Migratory Bird Day was initiated in 2006 by the Secretariat of the Agreement on the Conservation of African-Eurasian Migratory Waterbirds (AEWA) in collaboration with the Secretariat of the Convention on the Conservation of Migratory Species of Wild Animals (CMS). 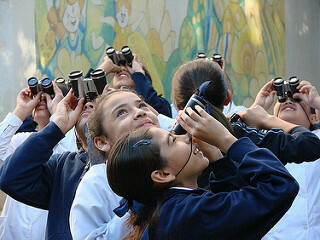 Originally, the idea of designating a day for migratory birds arose in the United States in 1993, when the US Fish and Wildlife Service, the Smithsonian Migratory Bird Center and the Cornell Laboratory of Ornithology initiated celebrations of the ‘International Migratory Bird Day' (IMBD), which encourages bird festivals and education programmes across the Americas. Although this day was and continues to be successfully celebrated in the western hemisphere, something similar was missing for the rest of the world. On the occasion of its 10th anniversary in 2005, the AEWA Secretariat initiated the Migratory Waterbird Days (MWD) which were held in Africa, Europe and parts of Asia. As this event was well received in the African-Eurasian region, it was decided to broaden the scope into a commemorative day that celebrates all migrating birds on a global scale. The very first World Migratory Bird Day was launched by AEWA and CMS on the weekend of 8-9 April 2006 on Ms. Kuki Gallmann’s famous wildlife reserve ‘Ole Ari Nyiro’ in Laikipia, Kenya. The central event at the launch - called WINGS - was inspired by the phenomenon of bird migration and was attended by a number of international personalities from the worlds of art, business and conservation. Since then, WMBD has been celebrated annually and has been growing in popularity each year. 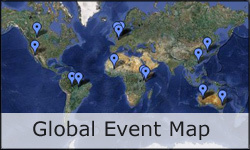 The global campaign continues to be organized centrally from Bonn, Germany by the CMS and AEWA Secretariats. Every year more countries, organizations and people are joining the campaign. On 26 October 2017 in the margins of the CMS COP12 in Manila, Environment for the Americas (EFTA), the Convention on Migratory Species (CMS) and the Agreement on the Conservation of African-Eurasian Migratory Waterbirds (AEWA), announced an innovative partnership to increase awareness of the plight of migratory birds around the world. The new partnership formally unites two of the world's largest bird education campaigns, International Migratory Bird Day (IMBD) and World Migratory Bird Day (WMBD) in a bid to strengthen global recognition and appreciation of migratory birds and highlight the urgent need for their conservation. 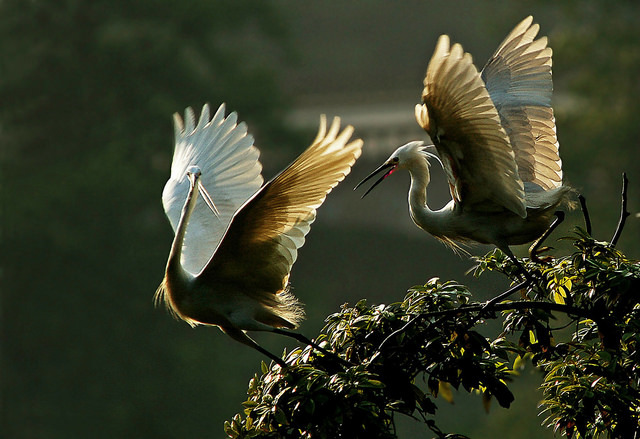 Starting in 2018, the new joint campaign adopts the single name of "World Migratory Bird Day" and major events to celebrate the day will be organized twice a year, on the second Saturday in May and in October.